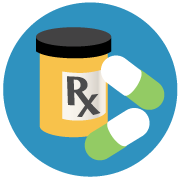 Find out if your medication is covered through the Ontario Drug Benefit program, including OHIP+. We couldn’t find the medication you’re looking for. Please double check the spelling of the medication. If the spelling is correct, this could mean the medication on your prescription isn’t covered, but it could still be eligible for coverage through the Exceptional Access Program or another program.